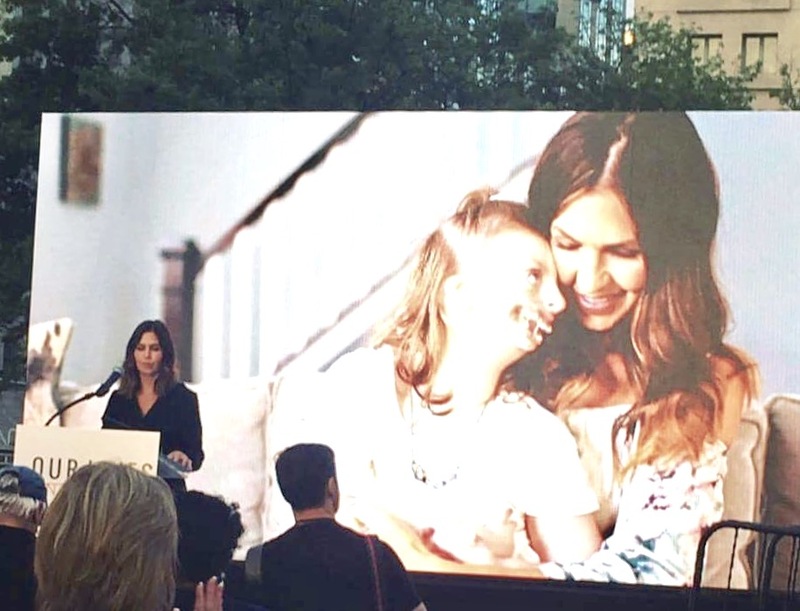 Meet Natalie Weaver, a mom of three who advocates incessantly at a national level for her daughter Sophia and other kids who have disabilities or chronic illnesses. One of the areas where she puts much of her focus is facial deformities. She fights hard for change that will not only show through in the country’s laws but that will also bring about much needed acceptance, inclusion and normalization for these children. 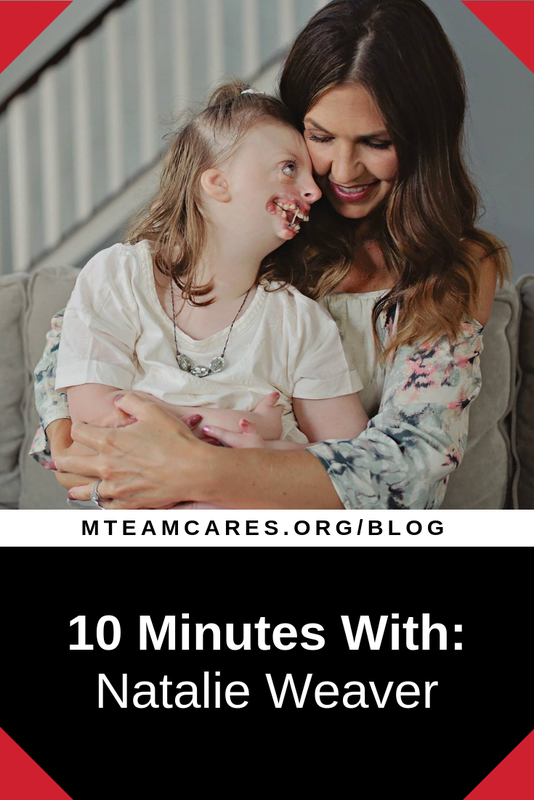 Below, Natalie tells us Sophia’s story, from her medically-complex history to her sweet and sassy personality, talks about her advocacy and the two organizations she has formed for this purpose, and shares her advice for parents who are newly receiving a special needs diagnosis. MTEAM: Tell us a bit about yourself and your family. NATALIE WEAVER: My name is Natalie Weaver. I am married to my wonderful and supportive husband Mark Weaver and we have three beautiful children: Sophia (10), Alex (8) and Lyla (5). I’ve wanted to be a mom since I was a little girl. I’m an artist and before kids, I used to show my art in a gallery for several years. I am a healthcare and patient/parent advocate. I fight to protect healthcare for kids with disabilities and chronic illness and I also fight for acceptance, inclusion and normalizing disabilities and facial deformities. MTEAM: We love following your adventures with your sweet daughter Sophia on social media. For those who are reading your story for the first time, can you help us understand a bit about Sophia’s complex medical history? NW: I had a typical and healthy pregnancy. Since Sophia was my first, I was extra cautious and even cut sugar and caffeine out of my diet! I didn’t find out that something could be wrong until an ultrasound at 34 weeks pregnant. I was rushed to a specialist where Sophia was examined through an ultrasound for two hours. I found out that day that she’d be born with deformities to her face, hands and feet and that she might not survive birth. I had four weeks to carry that heavy weight. It was a very difficult time. Sophia was able to breathe on her own and stayed in the NICU for a month where she received her first surgery at nine days old. For a while, we thought the only challenges would be her deformities but with each year came a new diagnosis. There is no one else in the world like Sophia so we learn as we go. She began to talk, play and do all the things we had hoped but then slowly began losing those skills. We found out she has Rett syndrome, though her mutation on the MECP2 gene is one never documented, again a unique case. This neurological condition comes with seizures, tremors, loss of walking, talking, use of hands, and the ability to do anything on her own. While it took a lot from her, it did not take her happiness, her love, her positivity or her sweet spirit. Sophia was also diagnosed with a rare immune deficiency and type 1 diabetes. She has undergone 28 surgeries to improve her quality of life and to decrease pain. She requires full time care. MTEAM: Tell us a bit more about Sophia and her personality! What does she love most? What makes her happy? What makes her uniquely Sophia?? NW: Despite what she goes through, she is the sweetest little human ever. She is the center of our family. She has an attitude and rolls her eyes at me quite often. She can’t talk but has many ways to communicate with us. She loves to cuddle and spend time with family. Her favorite color is green and she has a laugh that will melt all your problems away. Sophia goes through a lot, but as soon as the pain or challenges subside, she is happy, positive and laughing again. She is the strongest person I know and has a high tolerance for pain. MTEAM: What’s a typical day in Sophia’s life like? NW: Sophia requires care from others for all of her needs. We have nurse aides who help with a lot of the day to day things like getting dressed, bathed, fed through a feeding tube, etc. We help her have a fun day filled with music, adapted dancing, arts and crafts and enjoying the outdoors. She has a busy day. She has occupational, physical and speech therapy twice a week and a teacher that comes to the house. She works hard throughout the week. She sleeps in on the weekends and gets to chill with her family for movie night and other fun family time. MTEAM: What have been some of your biggest challenges and the best rewards along your journey with Sophia so far? NW: The biggest challenge for me has been not knowing how long I’ll have with my sweet girl. I know I’ll lose her one day and it’s something I’ve had to learn to peacefully live with. It also used to be hard for me to face the cruelty we’ve received because Sophia looks different. I kept private for the first 8 years of Sophia’s life because the pain of the reactions and cruelty were too much for me to handle. I’d try to build up my courage to go out to do simple things like run errands, only to be knocked down again by the cruelty of others. I’m proud that I finally stood up against the hate and I live life out in the open with my beautiful girl that I’m so proud of. The biggest rewards are being in the presence of Sophia, and learning so much about life, living in the moment and unconditional love. She has helped me find my voice and my true self. MTEAM: What advice would you offer to other parents who are just finding out about a similar diagnosis? What about some advice to the parents of other children who take notice of Sophia’s physical differences? NW: Advice to parents with a newly diagnosed child: It is very difficult in the beginning, but you will get through this; you will find strength you never knew you had and you will know a love deeper than any love you’ve ever experienced before. Times will be hard but there will be amazing and happy moments. The happiness will feel so much sweeter. Advice to other parents: Teach your children about disabilities and facial deformities as early as possible. Teach acceptance and inclusion. You can find stories of disabled people and people with facial deformities on the internet and share it with them and let them ask questions. Do not shush them away from disabled people or people with facial deformities. Teach them to smile and say hello. MTEAM: You have embarked on an incredible journey advocating for Sophia and other medically-fragile children. What key changes are you currently fighting for that would make this a more inclusive, safer or generally better world for them? NW: I’m always fighting to protect healthcare and more specifically Medicaid and Preexisting condition protections. I’ve also fought against Twitter to protect disabled children on their platform. I fought for months to get them to include ‘hate towards disability’ on their reporting tool so people can properly report hate and discrimination. I hope this has made a difference, but I’m not sure how good they are at enforcing it. I share our lives on social media to give people a glimpse into the life of a profoundly disabled child. Families like mine aren’t heard from very often and it’s important we have a voice. It’s important that we are seen so that change and acceptance can occur. MTEAM: You’ve also set up Sophia’s Voice and are the co-founder of Fragile Kids NC. Can you tell us a bit about both of these organizations and what you hope to accomplish through each of them? NW: The first organization I am the Co-Founder of is Advocates for Medically Fragile Kids NC. This organization began when our state was trying to reduce services for thousands of medically complex kids in NC. I along with two other moms, and co-founders, Jenny and Elaine stopped this from happening. Jenny and Elaine have done an amazing job of being a part of meetings with decision makers in NC to ensure the safety of NC’s medically complex kids. They are amazing and keep it running while I’m advocating nationally. They call me in when needed to spotlight things in the media. Sophia’s Voice is my new organization. As I built a large community around me of people who care, people began to reach out to me for help and I realized I could raise money quickly and help them get the medical equipment they need or to connect them with resources. Sophia’s Voice also tries to bring joy and respite to caregivers and disability activists who are working tirelessly. We also support individual activists who fight for healthcare and disability rights in various ways. MTEAM: Sophia has a very active and supportive following on social media now. How has this been important throughout your journey with her so far? NW: The large and supportive following that I have on social media has been key in being able to get stuff done! Social media pressure works! It’s also been the most amazing thing to once have been so isolated and to now have a tremendous amount of support throughout the entire world. It has connected me with other families who understand and it has helped me open up. Now I have I wonderful supportive group of friends and a loyal and loving support system. MTEAM: If there was one thing you’d most like the world to know about Sophia, what would it be? NW: I would most like the world to know that Sophia is an incredibly strong and amazing human being who is loved fiercely and unconditionally. Sophia is the true definition of beauty, strength and love. Those who take the time to really know and see her are changed for the better. Help us make the world a more inclusive place. Join the MTeam.